Spend too much at Great Lakes Crossing? Have more debt than you can pay? Behind on your car payment? Facing foreclosure, garnishment of wages, or repossession of property? Harassing calls from your creditors at work and home? Not sleeping at night because you can’t shut off you worries? We’re here to help! With over 50 years of combined bankruptcy experience, your Auburn Hills Bankruptcy Attorneys are here to help all of metro Detroit and surrounding suburbs, including Auburn Hills. 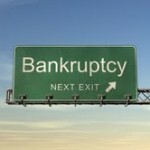 Let us guide you through Chapter 7 or Chapter 13 bankruptcy. Facing bankruptcy is scary and demoralizing, but it doesn’t have to be. Let us take that weight off your shoulders and allow you to sleep at night again. Please come visit us in our homey, stress-free office, enjoy some cookies and coffee, and get all your bankruptcy questions answered in your free consultation. Erase Your Bills, Erase Your Worries, Erase Your Stress!